The court of Appeals approved a decision of a local court concerning the case on compensation fines to be paid to the Erdoğan family. Prime Minister Recep Tayyip Erdoğan had filed a complaint about Radikal newspaper journalist Perihan Mağden, his wife Emine Erdoğan had complained about Tempo magazine journalist Cemal Subaşı. The Court of Appeals 4th Law Office rejected the appeal and approved the decision as "licit and corresponding to the procedure". The Erdoğan family will receive a total of 10,000 TL (€ 4,500) from both cases. In a speech at the US American John Hopkins University on 7 December Erdoğan said the following about press freedom in Turkey: "The press freedom in our country is so advanced that there are all sorts of freedoms up to very heavy criticism of the president, the prime minister and our families. The press in Turkey is much freer than the press in the USA". The prime minister has brought multiple lawsuits in recent years against individuals he sees as unduly critical or insulting. Past cases have involved taking a cartoonist to court for portraying him as a caveman, as well as a group of high school students shouting slogans at a protest rally. The prime minister has also been accused of using the government to force the break up of media that takes critical positions against his government, most notably the government's recent imposition of tax fines on the Dogan Media Group. Radikal is a Dogan paper. (See this article by Karen Krüger from the Frankfurter Allgemeine Zeitung, translated thanks to Qantara), as well as Sedat Ergin's Dec. 8 op/ed in Hürriyet. 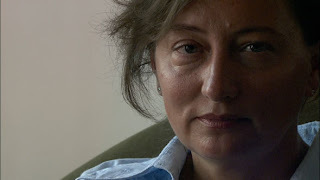 For more on Magden, one of Turkey's more controversial journalists, see the European Stability Initiative's Gerald Knaus interview with her in August 2008. The interview appeared in the ESI's Rumeli Observer. UPDATE I (1/16) -- Bianet's Erol Onderoglu reflects on Erdogan's recent lauding of the Turkish press' reportage of this week's diplomatic crisis. In short, Onderoglu asks, why is Erdogan lauding and condemning the press at all? Is this kind of criticism appropriate from the government? And, just how harmful is it? Americans should actually be asking themselves similar questions in response to the Obama Administration's recent criticisms of Fox News. And, on the topic of Erdogan filing suit against critics, I would suggest reading Bulent's comment on the perceived need to legally protect people from being insulted. As long as this need is perceived by Turkish citizens, government -- at least to the extent that the courts hears insult cases, and Turkish legislators create law enabling such cases -- there is little chance of te government not intervening. Is there a need to protect private citizens from public insults? And, what about government officials? Again, these are questions for Turkish citizens, the problem here being much more complicated than merely repealing repressive government laws. They argued that in the past politician Mesut Yılmaz had been called “Bee Mesut” after the symbol for the Motherland Party (ANAP), and Deniz Baykal has been called “Six Arrow Deniz” after the logo of the Republican People’s Party (CHP), and that these incidents had never been considered insults. This 'defense' should look odd to an American. Does it? I've been noticing that many foreigners miss what it means for insults to be illegal (and actionable in civil courts also). Even outside of the overtly political realm such laws can be and are (eg Oktar, columnists suing others etc.) used for all manner of power games. Yet, when you ask the people, it turns out that they think it is the most natural thing on earth for insulting others to be against the law. I have tried asking about this online, and even the people who loudly complain about internet censorship think the gov't (criminal courts) or the civil courts should do something about insults. I don't know how one would avoid having gov't interference with the 'net and the press in such a cultural climate. This problem is far deeper than it is made out to be. Are you at a point where you can appreciate obscure and obscene verse in Turkish? Lemme give you a couple from Neyzen Tevfik. Here's one about sensitivity to insults that might itself be worth a TCK-301 investigation. Here's another one about our superiors, that I most wholeheartedly disapprove of.